Onder de naam Carl Cryplant speelde ik een dj-set met muziek die te maken kon hebben met het graven van een put. 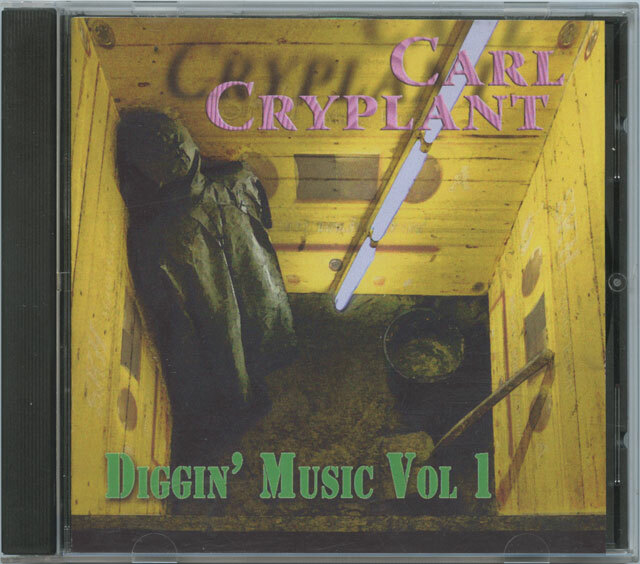 By the name Carl Cryplant I played a dj-set with music that might have to do with the digging of a hole. Please Mr. Gravedigger by David Bowie naturally covered up with Muckraker by Rocket from the Tombs overfaded by It’s not the Bullet that Kills You it’s the Hole by Laurie Anderson painfully beaten with Deeper Underground by Jamiroquai snapped onto ...Ja das ist Kunst! by Institut für Feinmotorik hit on with Down Down by Status Quo broken on the beat with I Will Follow Him by The Shirelles kinda trashed over with Garbage Dump by Charles Manson halfway joined by Invocation of My Demon Brother by Mick Jagger dropped into with Hide U a mashup of Kosheen vs. Bomfunk Mc’s (Freestyle Mix) masterslaved into As Long as He Lies Perfectly Still by Soft Machine overflown with Beethoven’s Fifth Gold Digger a mashup of Kanye West vs. Beethoven by RebelDjs beaten on the beat with It’s My Party by Lesley Gore.